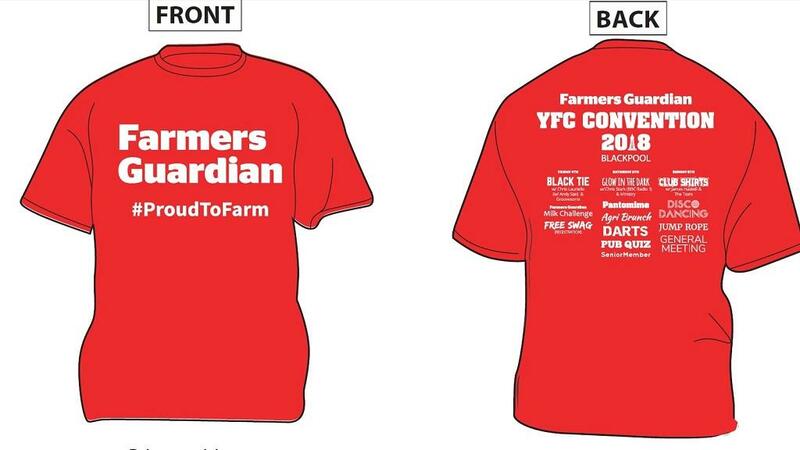 Farmers Guardian t-shirts are back for 2018 and will be available to collect during the first day of registration at this year’s Young Farmers annual convention weekend. This year, FG will be donating the t-shirt funds to the Air Ambulance service to help continue honouring the iconic response unit. Synonymous with the farming community, the Air Ambulance Service provides 24 hour, 365-days-a-year accident and emergency services to those in need of urgent medical treatment and transport. Their highly skilled staff provide life-saving care to patients in the community and take people to hospital or a place of care if needed. On arrival, visit our stand at registration and simply donate £2 on the day to receive your t-shirt. The FG team will be reporting live from Blackpool on the latest news, views and competition results. Follow us on @FarmersGuardian and like us on Facebook.